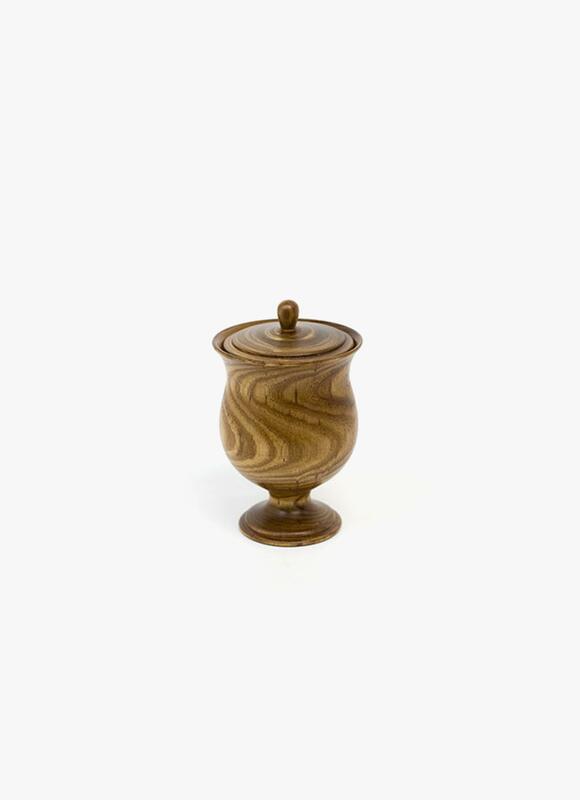 “Eni” is designed to hold spices such as sugar, honey, salt, mayonnaise, dressing, etc. at the dinner table or in the kitchen. The Eni series is made from Japanese pagoda tree, or Enju, grown in Hokkaido. Its characteristic wood grain come to the fore as a result of Takahashi Kougei’s lathing techniques.